What Kind Of Clear Packing Tape Can't Be Bought? 1. Yellowing - this kind of yellow refers to that kind of unnatural broken and withered yellow. 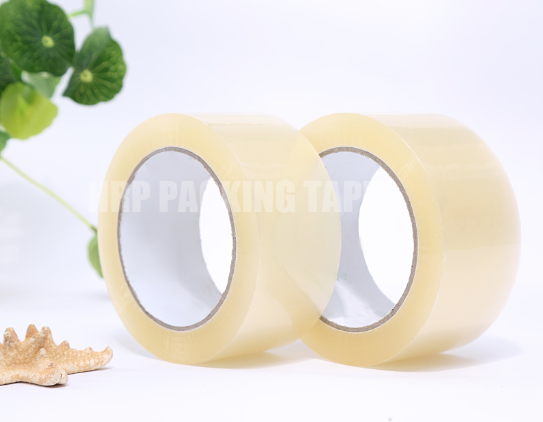 Yellow Clear Packing Tape is a normal type, but that kind of yellow is a natural and clear color. 2. Too thin - a little thin tape is good, but too thin will bring a problem, that is, easy to pull uneven, resulting in irregular fracture, affect the use of the future, how to balance the thickness and strength, which is the Brown Parcel Tape Manufacturer have been exploring. 3. Edge burr - the burr on the edge of the tape is the result of a manufacturer's substandard process. In this case no matter how tough your material is, it is easy to tear open a crooked opening. This effect is the same as the previous point, and will have a serious impact on the user experience.